Anakin Skywalker. . Wallpaper and background images in the Anakin Skywalker club tagged: star wars skywalker darth vader anakin skywalker hayden christensen hayden episode iii anakin. This Anakin Skywalker photo might contain brautjungfer and trauzeugin. 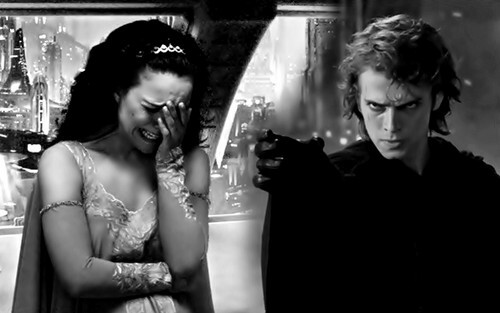 Awesome ROTS super-tragic moment collage. Thanks for posting! This makes what happens to them later on even more tragic!